n Virtual Private Network is a private network that uses a public network (usually the Internet) to connect remote sites or users together. Instead of using a dedicated connection such as leased line, a VPN uses “virtual” connections routed though the internet.It works like a point-to-point private link. n The remote access needs are accommodated by remote access servers and modems. The users dial in through the public switched telephone network. Site-to-site intranet VPNs - Connect different networks. Remote access VPNs – Enable remote connectivity using any Internet access technology. The remote user launches the VPN client to create a VPN tunnel to the gateway. Extranet VPNs – Provide customers/suppliers with access to the Extranet. VPN tunnels are created through the Internet between the corporate gateway and a gateway located in a partner’s network. Note: Extranet typically uses the Technology of the public internet (TCP/IP & Browsers)& customers access Extranet via Internet through their local ISPs. But Extranet is not a public entity as u need Accounts and Passwords typically issued by the firm running the Extranet. n Ensuring that the Data originates at the source that it claims. n Restricting unauthorized users from gaining admission . n When an access request is presented, resource makes a decision to allow the access request to proceed or not. n Performed at tunnel endpoints. n Preventing anyone from reading or copying data as it travels across the internet. n Preventing Ensuring that no one tampers with data as it travels across theIntrnet. n Tunnel – A logical link between the tunnel client and the tunnel server. It is use in such a way that the routing nodes in the public network are unaware that the transmission is part of a private network. n Tunneling is the process of encapsulating (placing an entire packet within another packet (which provides the routing information) and sending it over the Internet. If node C takes the original packet and places it completely within a new packet addressed for node G, the nodes D, E and F would not know the original destination I. 1. Remote user dials in to the local ISP network access server using PPP. 2. The PAC(personal activity center) establishes a control channel (TCP) across the PPP(Point to point protocol)connection and through the internet to the PNS attached to the home network. 3. Parameters for the PPTP channel are negotiated over the control channel, and the PPTP tunnel is established. 4. A second PPP connection is made from the remote user, through the PPTP tunnel between the PAC(personal activity center) and the PNS(personal number service), and into the private networks NAS(or RAS). 5. IP datagrams or any other protocol’s datagrams are sent inside the PPP frames. n Compulsory tunneling:unlike PPTP &L2TP ,L2F has no VPN client, the Internet service provider manages the VPN connection. n Disadvantage: does not define encryption for the encapsulated packet. In L2F Tunnel is constructed from the service provider. Remote user dials in to the local ISP network access server using PPP. L2F builds a tunnel from the NAS to the private network. Uses packet-oriented protocol that provides end-to-end connectivity, such as UDP, frame relay, etc. as the encapsulating protocol. L2F establishes PPP connection between NAS and home gateway. IP packets are sent over the PPP. n Again lack of good security features. n The current L2TP draft standard recommends that IPSec be used for encryption and key management in IP environments. n Provides the sender with the opportunity to authenticate or encrypt (or both) each IP packet. q Tunnel mode – the entire packet is authenticated or encrypted. n IPSec solves the problem of VPN security, but performance remains an issue. q The speed of transition through the Internet – the public Internet cannot provide guaranteed levels of response time and reliability. Some SP offer quality of service agreements. q The efficiency of the VPN processing at each end of the connection. Encapsulation and encryption require adding data fields to each packet – long packets, likelihood of fragmentations. Encryption is very computationally intensive. Must be performed on products that are optimized for these functions. n Generally, fits in one of the following categories: routers, firewalls, integrated hardware, software. n Integrated hardware – some of them provide very high throughput and number of tunnels. n Software Gateways – usually low-cost solutions for small VPNs. n The availability and performance of a corporate VPN (over the Internet) depends on uncontrollable external factors. n Shortage of standardization. The products from different vendors may not work well together. n VPNs need to accommodate complicated protocols other than IP. An 8 bit serial interconnection protocol which allows a PC to connect to the internet with a standard dial up telephone line and a modem. Personal activity center. A combination IBM,PC clone,alarm clock,ansering machine,speaker phone,fax machine,modem etc all rolled into one unit sitting at your desk. Personal Number Service just like UAN number. Remote Access Server is like a Computer which sits on a corporate LAN and into which employees dial through PSTN to get acess to their email and other data on the corporate network. RAS is also used by ISPs to allow their customers acess into their networks. RAS are typically measured by how many simultaneous dial-in users they can handle. n May be electrical, electromagnetic, acoustic optical and so many others. 1.In the MS-DOS operating system, there are two special configuration files, called CONFIG.SYS and AUTOEXEC.BAT. 2.These important files can be included in the DOS boot up process. 3.These two files play a crucial role in optimizing the system for operations in particular functions or with different options. 4.Both the AUTOEXEC.BAT and CONFIG.SYS files can play significant roles in optimizing the system memory and disk-drive usage. The BIOS loads the Boot Code. It indicates the behavior of cable pairs with electrical signal which traverses through it . Transmission standards of cable consists of standard insulation of cable pairs, loop resistance, line loss, resistance unbalanced etc. etc. Drop of Signal from Exchange to sub-office. Resistance measured b/w two conductor of any pair & unbalanced %tage shall be calculated. Measure with a Transmission Measuring Set It shall be terminated at its characteristic impedance. This chapter is intended as an introduction to pulse code modulation (PCM), Time-Division multiplexing (TDM). Explanations have been limited to the most important principles and concepts. In order to keep this general survey brief and readily understandable circuitry is not dealt with in any great detail. In the case of TDM the transmitted telephone signals are separated in a time period of 125 Micro second containing 32 time slot (see fig.1). One time slot in each of the consecutive period is allocated to each telephone signal. Periodic sampling of the analogue telephone signal “a”. analogue telephone signal “a , b , c” in repeated cycles. shows how the telephone signal is fed via a low-pass filter to an electronic switch. The low-pass filter limits the frequency band to be transmitted; it suppresses frequencies higher than half the sampling frequency. The electronic switch -driven at the sampling frequency of 8000 Hz -takes samples from the telephone signal once every 125 µs. A pulse amplitude modulated signal is thus obtained at the output of the electronic switch. The pulse amplitude modulated signals (PAM signal) still represents the telephone signal in analogue form. The first stage in the conversion to a digital signal is quantizing. The whole range of possible amplitude values is divided into quantizing intervals. The quantizing principle is shown in fig.6. In order to simplify the explanation only 16 equal quantizing intervals are indicated. The quantizing intervals are numbered + 1 to + 8 in the positive range of the telephone signal and -1 to -8 in the negative range. Uniform quantizing of the samples of an analogue telephone signal. On the transmit side, therefore, several different analogue values fall within the same quantizing interval. On the receive side one signal value, corresponding-to the mid- point of the quantizing interval, is recovered for each quantizing interval. This causes small discrepancies to occur between the original telephone signal samples on the transmit side and the recovered values. The discrepancy for each sample can be up to half a quantizing interval. The quantizing distortion which may arise on the receive side as a result of this manifests itself as noise superimposed on the useful signal. Quantizing distortion decreases as the number of quantizing intervals are increased. If the quantizing intervals are made sufficiently small the distortion will be minimal and the noise imperceptible. - Small quantizing intervals for lower signal values. - Larger quantizing intervals for higher signal values. The ratio of the input signal to the possible discrepancy as a result of quantizing is therefore approximately the same for all input signal values. Non-Uniform quantizing followed by encoding. shows the “13 segment characteristic" (A-Law). It consists of seven segments in the positive range and seven in the negative range. The two segments bordering on zero are combined to form a single linear segment. This gives a characteristic with a total of 13 segments (hence the same “13 segment characteristic"). Characteristic (A-law) Characteristic (A-law) encoding, decoding. The PCM signal to be transmitted is obtained by encoding the quantizing intervals. The electronic encoder allocates an 8-bit PCM word to each individual sample, this PCM word being associated with the determined quantizing interval (see fig. 7). The red arrows in fig. 9 show the PCM words for the individual signal amplitudes (samples). An 8-digit binary code is used for the 128 positive and 128 negative quantizing intervals (128+128) =256), the PCM words therefore have 8 bits. The first bit of all PCM words used for the positive quantizing intervals is a "1", the first bit of all PCM words used for the negative quantizing intervals is a "0". Bits no.2, 4 6 & 8 in every 8-bit PCM word are inverted for transmission as per CCITT Recommendations G.711 and G.732. The 8-bit PCM words of a number of telephone signals can be transmitted consecutively in repeated cycles. A PCM word of one telephone signal is followed by the PCM words of all other telephone signals arranged in consecutive order. This creates a PCM time-division multiplex signal. The processes involved in multiplexing are carried out fully electronically. Fig. 10 shows the principle involved using four input signals sampled sequentially by switch A. Switch A moves from one input to the next, synchronous with the incoming PCM word train. The PCM time-division multiplex signal is then available at the output of switch A. The time interval within which a PCM word is transmitted is known as a time slot. A bit train containing one PCM word from every of the input signals is known as pulse frame. In the example shown in Fig. 10, a pulse frame consists of 4 consecutive PCM words, one PCM word being from each of the input Signals S1 to S4. In the PCM 30 transmission system the pulse frame consists of 32 PCM words. On the receive side the individual PCM signals are recovered from the Time Division Multiplex signal, i.e the 8-bit PCM words are distributed to the appropriate outputs. As with the multiplexing processes on the transmit side, the de-multiplexing processes are controlled fully electronically. Fig. 10 shows the principle involved using switch-B, synchronized with switch-A, distributes the PCM words to the 4 outputs. On the receive side a signal Vout is allocated to every 8-bit PCM word. It corresponds to the mid point of the particular quantizing interval. The characteristics for decoding is the same as that for non-uniform encoding on the transmit side. The Vout signal amplitudes are shown on the horizontal axis at the top of Fig. 9. The blue arrows in the diagram shows the Vout signal amplitudes which are allocated in the PCM words. The PCM words are decoded in the order in which they are received and converted a PAM signal. Finally the PAM signal is fed to a low pass filter, which reproduces the original analogue telephone signal. a) Band-limiting of a telephone signal by means of a low-pass filter. b) Sampling telephone signal. The resulting samples form a PAM signal. c) Quantizing samples, i.e. the quantizing interval is determined for each sample. d) Encoding samples, i.e. a binary PCM word is allocated to the determined quantizing interval. The telephone signal, which consists of 8-bit PCM words, is known as a PCM signal. e) Multiplexing PCM signals, i.e. the PCM words in a telephone signals are interleaved with the PCM words from other telephone signals to form a PCM time-division multiplex signal. a) De-multiplexing PCM time-division multiplex signal, i.e. the PCM words of the telephone signals are distributed to the individual lines. b) Decoding PCM words in the PCM signal, i.e. a signal amplitude is allocated to each PCM word. The signal amplitude is equal to the midpoint value of the particular quantizing interval. A PAM signal is produced again. c) Reproducing the original analogue telephone signal from the PAM signal with the aid of a low-pass filter. The sequence in which the individual steps are carried out depends on the system used. It may differ from the sequence given here. The samples from several telephone signals could, e.g, be combined into a PAM time-division multiplex signal and then quantized and encoded in one common unit. In digital transmission systems, analogue telephone signals are converted into digital form using pulse code modulation. Transmission systems PCM 30 are the basic systems used for this conversion. Higher-order digital transmission systems can be formed from these basic systems. Separate channels are provided in the P.C.M. Transmission system for each direction of speech in a connection (subscriber A to subscriber B, subscriber B to subscriber A). Each pair of identically-numbered channel time slots in the pulse frames of the two transmission directions form one voice circuit. P.C.M. transmission systems terminate at both ends in a digital multiplex unit. Each multiplex unit contains transmit and a receive section (see fig. 11). The transmit sections form the 8-bit PCM words to be transmitted, and the receive section converts the received PCM words back to analogue signals. In either speech direction the receive section must recover the analogue signals using the same timing signal as its associated transmit section. Thus the information received from the transmit section by the receive section contains not only the PCM signals but also the timing signal used to form them. In order to carry out these functions the transmit section is provided with a timing signal generator and the receive section with a timing signal detector which extracts the timing signal from the received PCM signal. The receive section is thus synchronized, i.e. it operates in step with the transmit section of the same speech direction. Transmission of timing signals via a PCM transmission route. Block diagram of a PCM transmission system. The PCM signal generated by the transmit section consists of a succession of 8-bit PCM words in NRZ binary code (NRZ = non-return-to-zero). This digital signal cannot however be sent directly to line on account of its D.C component. The transmit section of the multiplex unit converts the PCM signal into a pseudoternary signal, e.g. an AMI signal (AMI =alternate mark inversion) with no dc component. An AMI signal contains long "0" bit sequences. PCM transmission routes often use a variant of the pseudoternary AMI code -the HDBJ code (HDBJ = third-order high-density-bipolar). This code limits the number of consecutive "0" bits to three and thus optimizes timing signal recovery in the regenerative repeaters. The line terminating unit forms the link between the digital multiplex unit and the transmission lines (see fig .12 ) In the transmit direction, for example, it injects the feeding current for the regenerative repeaters. On the receive side it regenerates the PCM signal and extends it to the receive section of the digital multiplex unit. Regenerative repeaters are installed on PCM transmission routes at intervals of roughly 2 to 5 km (see fig. 12). They regenerate the PCM signals in both directions, thus eliminating any distortion which may be caused by external interference and the transmission parameters of the lines. The transmission systems recommended by the CCITT and described below are the PCM 30 system, with 2048kbit/s (CCITT Recommendation G. 732), these combine 30 channels per transmission direction respectively to form a time-division multiplex signal. PCM 30 transmission systems are used throughout Europe and in many non-European countries. PCM 30 also known as "primary transmission systems" or basic systems. Their most important features are given in Table 1. The PCM-30 transmission system ( See also Table -1) enables 30 conversion to be transmitted simultaneously, e.g. via two balanced pairs of a VF cable. 8000 samples per second are transmitted as 8-bit PCM words in both directions for each of the 30 speech circuits. This means that, within a period of 125us (= reciprocal of 8kHz), 30 PCM words, each with 8 bits, are transmitted consecutively in each direction. In addition to these 30 PCM words a further 2x8 bits are also transmitted: 8 bits for signalling and 8 bits which contain alternately a bunched frame alignment signal and a service word. The 30 PCM words together with the other 2x8 bits form a pulse frame. Pulse frames are transmitted directly one after the other. Pulse frame structure in a PCM-30 transmission system. The receive sections determine the timing of the pulse frames with the aid of the incoming bunched frame alignment signals, so that the bits can be allocated to the individual speech circuits in the correct sequence. The bunched frame alignment signal and the service word are transmitted alternately in channel 0. Bit 1 in channel 0. Bit 1 in channel 0 is reserved for international use. The bunched frame alignment signal contained in bits 2 to 8 channel time slot 0 has always the same pattern (0011011). Bits 4 to 8 of the service word are reserved for national use. In the case of channel-associated signalling channel 16 is subdivided so that particular bits are available for each of the 30 telephone channels (see Table-2). For this reason, 16 pulse frames are combined to form a multi-frame. A bunched multi-frame alignment signal in channel time slot 16 of pulse frame 0 is transmitted at the start of the multi-frame. The bit pattern of this bunched multi- frame alignment signal is "0000". The channel time slots 16 in a multi-frame are each divided into two groups of 4 bits (a, b, c, d). One of these 4-bit groups in the multi-frame is allocated to each of the 30 telephone channels for signalling. The signalling bit rate per telephone channel is then 2 Kbit/s. If channel 16 (= 64 Kbit/s) is not to be used for channel associated signalling it can be used for transmitting other digital signals, e. g. for common channel signalling (CCITT No.6, No.7) or for data transmission. Table 2 Allocation of the bits in the channel time slot 16 of PCM 30 multi-frame to the telephone channels for channel associated signalling. Y = Bit for signalling failure of multi-frame alignment. Deep Freez is the best solution for Windows OS, now a day's every one have this problem, they need to install windows after one or two week. The Recommended sotware for home users is Deep Freez. Just install and feel free from Windows Crash. 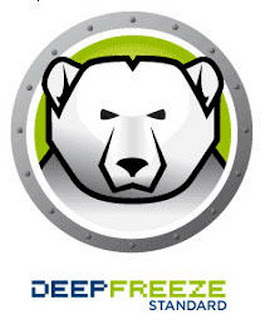 Contact us for Free Software of Deep Freez, we will teach you how to configure the Deep Freez for windows protection. When you install Deep freez one time, every time when you start the computer you get the same speed of your computer. I have also some special setting for Windows Xp, these setting can make more faster your Computer Speed.